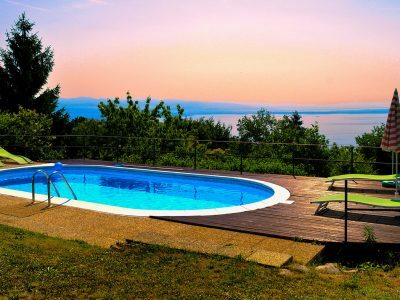 The holiday houses are placed in a quite, sunny, south facing area and each house has a beautiful view of the Kvarner Bay and picturesque landscapes of Učka massif. 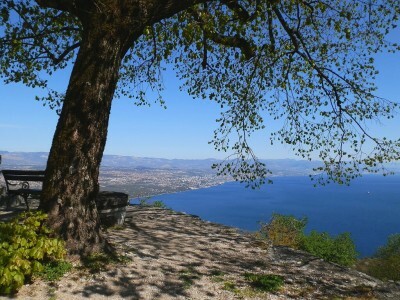 On the half way among the famous tourist resort OPATIJA and the fascinanting mountain UČKA – A NATURE PARK you will arrive in a smal hamlet called ZATKA – part of the ancient village VEPRINAC. There, among small houses, among trees and meadows overlooking the KVARNER bay one can find the property “NONO” – a small tourist oasis which consists of 4 cosy rural houses for vacations. Each house has its private outdoors area thus providing complete privacy. The holiday houses NINA, MARIA, KATA and DRAGA are located on a terraced grounds and are interconnected with the outdoors stairs leading to the swimming pool area (1 pool; 8x4x1.5m and 2.pool; 4.60×1.20m) and private meadows, to the public footpath and access to the village road. They are placed in a quite, sunny, south facing area and each house has a beautiful view of the Kvarner Bay and picturesque landscapes of Učka massif. NONO offers an ideal refuge for one in search of rest in a simple but beautiful rural setting and as such it provides the temporary escape from the ever faster pace of contemporary life in the urban environment. Here in dreamy Zatka, one can relax in the gardens with splendid views or by the pool side, yet only 10 minutes away from everything a modern way of life has to offer. NONO consists of four detached houses and the swimming pool area on the grounds of 3500 m2. The ancient stone walls in the ground floor of each house ensure cool summer and warm winter. 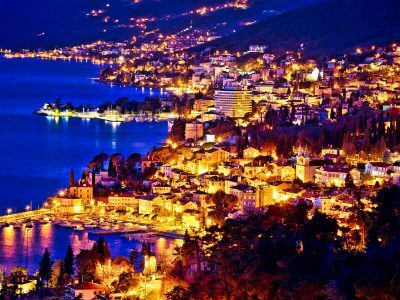 Only 10 min drive away, 7km by road, in Opatija one can find everything else a modern tourist may require: from medical service to supermarkets and shops, entertainment, spa and beaches or some of the best fish restaurants in Croatia. To go to Opatija one does not necessarily need a car: there is a local bus, No. 34 or you can use a public walking trace which take you about 20-30 min. Veprinac is a beautiful village half way between the sea and the skies, nesting on the slopes of Učka, at 500 m above the sea. It offers magnificent views of Kvarner Bay and the islands. 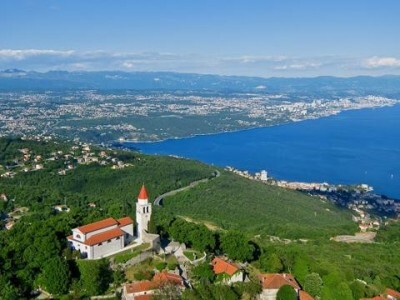 The settlement consists of two parts: the upper part of the medieval fort and parish church and the lower part along the road leading to Učka summit or in the opposite direction down towards Opatija and the seaside. A small hamlet Zatka is located at 300 m above the sea level overlooking the Bay of Kvarner. 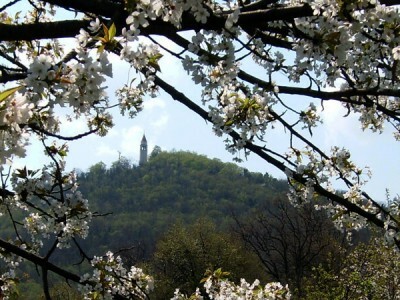 Here in Zatka, on the slopes of Veprinac, among the small houses built in the traditional style, among trees and meadows, one can find the property called NONO – a small tourist oasis.